Tennessee Williams is recognized as one of America’s greatest dramatists and as an innovator of post-World War II theater. He looked for a mechanism for portraying the truth in theater at a time when traditional approaches no longer worked. Bold with form as well as subject matter, Williams confronted audiences with what had been taboo topics—sexuality, societal constraints, alcoholism, and brutality. 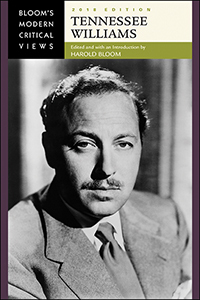 Tennessee Williams, 2018 Edition features essays that examine the life and legacy of this formidable storyteller and serves as an excellent guide for students curious to learn how Williams innovatively presented his daring topics within a highly lyrical context.